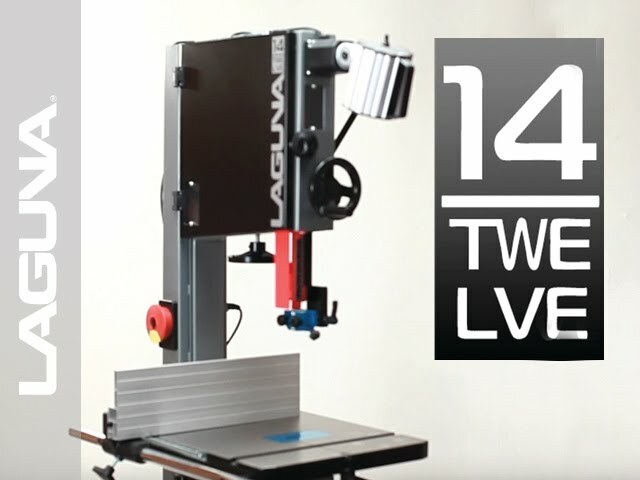 Laguna is known for providing quality bandsaws with unparalleled stability and power in even our most compact machines. No matter which bandsaw you choose, whether you are a hobbyist or professional woodworker, you will never want to go to any other bandsaw. Our Cyclone Dust Collectors have been re-engineered to provide the best suction and efficiency possible. From stationary powerhouses to mobile solutions, we have a dust collector for your shop. Laguna Edgebanders come in a variety of sizes for small to large sized shops and boast an automatic edge trimmer and flexible glue pot for use with PVC, wood tape, laminate and more. Laguna ShearTecII Cutterhead Jointers utilize cutting edge technology. Deep gullets allow chips to exit fast and keep the head clean, while the 6 row design allows more carbide inserts, longer lifetime, less noise and vibration, and a smoother finish. Revo Lathes redefine stability when it comes to wood turning. With a Delta VFD maximum torque is always guaranteed and the all cast-iron design prevents any chance of vibrations occurring. Laguna Panelsaws are perfect for cabinet makers and those who work with large pieces of wood who need a machine to get the job done well. Laguna Planers feature the unique ShearTec II Cutter Head which consists of a 6 row system, rather than a 4 row one. Achieve better finishes and removals with these surprisingly quiet planers. Laguna Sanding Machines are engineered to be especially easy to use and maintain. Sanding should never be a strenuous step, and our sanders make sure of that. Laguna Shapers are pre-drilled to accept most power feeders and equipped with finely tuned fences providing you with reliable micro-adjustments for complete accuracy. Fusion Tablesaws are uniquely designed to maintain a truly flat tabletop and feature built in wheels, quick change riving knife, and more. Laguna Tools is a premium manufacturer of wood working and metal working tools. Copyright © 2016 Laguna Tools All Rights Reserved.